Arcopal opal is reinforced thanks to a special heat treatment called tempering - which makes it up to 3 times more shock-resistant than other materials. 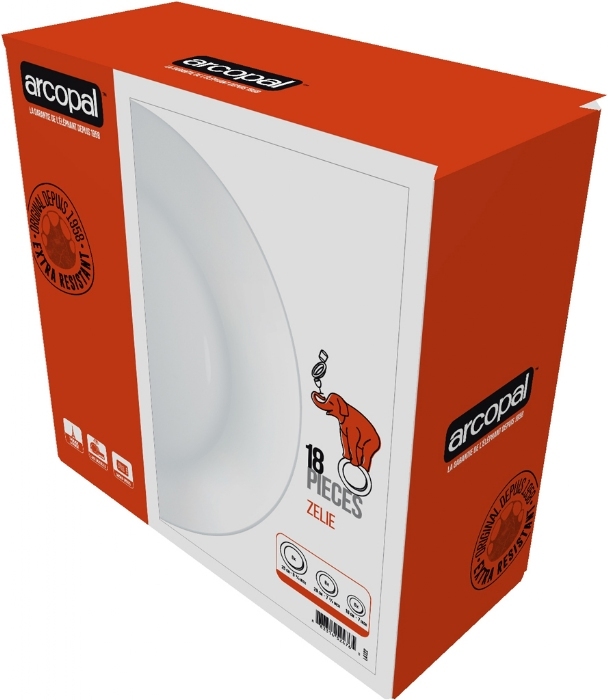 Arcopal opal can withstand sudden variations of 135C: it is safe to transfer the dishes directly from the refrigerator to the microwave. Arcopal opal is a non-porous material - which prevents bacteria from accumulating in it - making it easy to clean and hygienic. Arcopal opal products are dishwasher safe. They retain their decoration and their shine day after day - wash after wash.